As an NVIDIA partner we're proud to introduce our brand new X4, the cutting-edge NVIDIA GeForce computing workstation by XI-MACHINES. Featuring up to four NVIDIA® GeForce GTX 1070 or GTX 1080 graphics accelerators our new X4 is able to master even the most demanding computing tasks from physically accurate rendering/ raytracing, to video postproduction as well as deep learning. In addition to the powerful dual-CPU setup (with up to 44 cores/ 88 threads) our X4 also offers maximum GPU performance for all your computing tasks such as digital content creation and rendering/ raytracing as well as simulation and deep learning. 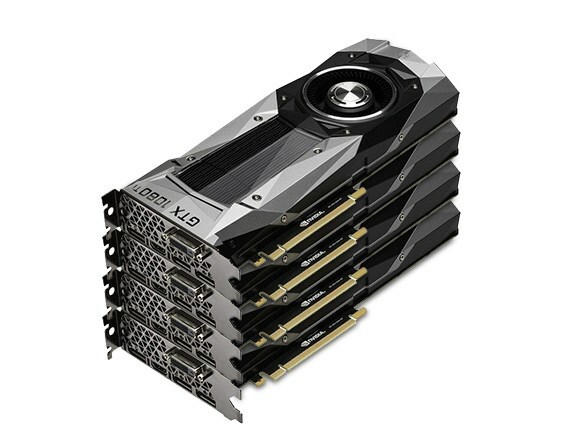 With up to four high-end NVIDIA® GTX 1080 Tigraphics acelerators and support for CUDA, DirectCompute, OpenCL, creative and engineering professionals can now master even the most demanding, GPU intensive workflows with an outstanding performance. Combined with an 11GB GDDR5X of dedicated graphics memory and 3584 CUDA processors per GPU, the NVIDIA® GeForce computing workstation is a visual supercomputer for your desk.